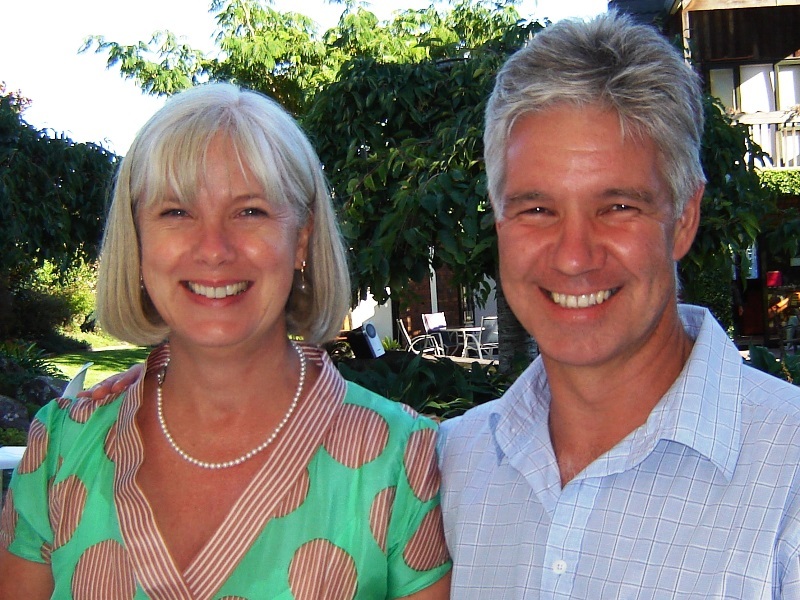 Your hosts, Stephen and Christina Jones are committed to making your stay at Country Lodge Kinloch special and relaxing and to make the occasion an experience worth remembering. Head north on SH1. Turn left at the Kinloch / Te Kuiti sign into Poihipi Road, on edge of town. Follow Poihipi Rd for approximately 10 kms. Turn left at Whangamata Rd. After 4.5 kms, turn right into Hitiri Road. We are 800 metres on the left. 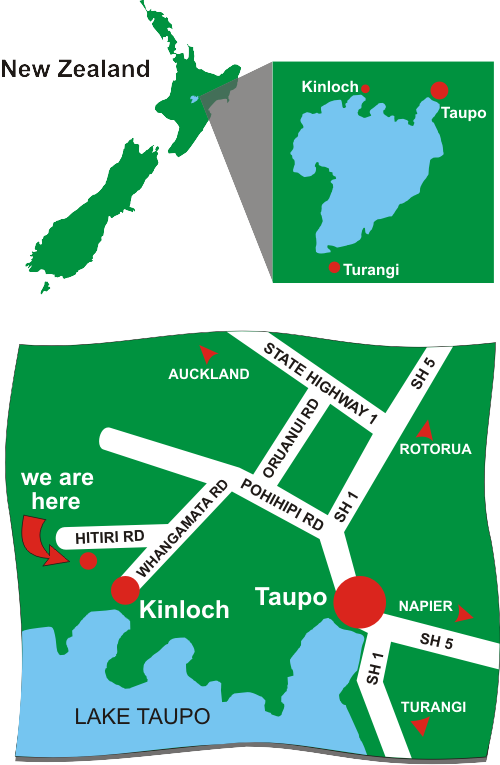 The Kinloch turn-off sits north of Taupo township and is 4.5 kms south of the Orakei Korako turn off. At the Kinloch sign, turn right into Oruanui Road. Proceed for approx, 7 kms turning right into Poihipi Road at T Junction. Follow for 3 kms, turning left into Whangamata Rd at the Kinloch sign. After 4.5 kms turn right into Hitiri Road. We are 800 metres on the left.